piston wrote: What's your preference? Mmm. I must be getting less creative with my questions. The songs and the opera are from a relatively young Debussy, surely more "romantic" in orientation than in his Etudes or nearly all his chamber works. piston wrote: Mmm. I must be getting less creative with my questions. Sonata for flute, viola, and harp: Oui. There's magic in his late chamber music, to be sure. A much more personal Debussy than the impression creator. Oddly, this is the ONE PIECE of Debussy that I cannot take. I grew up with the Ansermet recording of the work, which has been hailed as among the best. Still ... no can do. If I had to select just one, it would be PIANO music. But I'll bet you knew that! Secondly, it would be his songs. 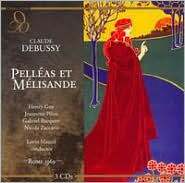 Lance wrote: Oddly, this is the ONE PIECE of Debussy that I cannot take. I grew up with the Ansermet recording of the work, which has been hailed as among the best. Still ... no can do. The only other work that leaves me tepid is the set of Études though I like #11 (Pour les Arpèges composés). Above all, the piano music. The Images, Preludes, Etudes, Estampes, Pour le piano, Isle Joyeuse, Masques. And En Blanc et Noir. 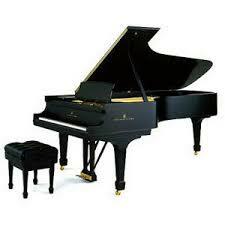 To me, the best works composed for the piano after Beethoven. The chamber music has not the same quality. I think that the string Quartet is a minor work. But the three Sonatas are very beautiful, my preferred being the Violin/piano Sonata. Let's not forget Sirinx, a delightful work for flute solo. In the orchestra, an extraordinary masterpiece, La Mer. Then, the more abstract Images, the strange ballet Jeux, the sensual Après-midi d'un faune and one of the true impressionist works of the master, Les Nocturnes. The songs are not among my favorite - excepting Bilitis and Noel des enfants qui n'ont plus de maison - and I think that, in this case, Ravel was very superior. Le Martyre de Saint Sebastian doesn't interest me much, except for the extraordinary symphonic excerpts, recorded by Monteux and Cantelli. The opera: Pélleas et Melisande is a miracle of poetry. The orchestra is subtle and, even with an impossible libretto, Debussy gives life, humanity to his characters. Me too, though I've lost count. If limited to one Debussy work, this would be it. If I could have all I wanted, though, I'd take 'em all. Which ones are your favourite recordings and what do you think of Maazel's rendition? The Rhapsody for clarinet and piano and the Danses sacrée et profane (harp, 2 violins, viola, cello and bass) are not shabby either! Less frequently performed is about ten minutes of incidental music to Chansons de Bilitis, for two flutes, two harps, and celesta. oh sorry, that's not what I meant to say. and the Danses sacrée et profane (harp, 2 violins, viola, cello and bass) are not shabby either! Debussy had this infuriating tendency to label something as "first" and then never write a second. He also gave the "premiere" designation to his string quartet*. The Premiere Rhapsodie is such a beautiful piece, and durnit I want a second one!! * (ok, so I can't get too cross at him for only doing it twice). My library recently aqiured the Maazel Pelleas and I liked it very much . Also, this December, Simon Rattle is scheduled to make his Met debut with this opera. I wasn't that fond of Pelleas in the past, but with repeated hearings it's grown on me. Debussy had this infuriating tendency to label something as "first" and then never write a second. Less Debussy's peculiarity than a curse of modernism, I think. val wrote: Above all, the piano music. The Images, Preludes, Etudes, Estampes, Pour le piano, Isle Joyeuse, Masques. And En Blanc et Noir. To me, the best works composed for the piano after Beethoven. Agree completely. However, I also admire many of his works for orchestra, for voice, and for chamber group--and think his string quartet is superb. THEHORN wrote: My library recently aqiured the Maazel Pelleas and I liked it very much . That's great! Is there anything in particular you liked or did not like about that recording? John Francis, what am I missing in not liking this opera when I enjoy so much else of Debussy? Maybe I'm listening to it wrong. If all I am hearing is the music (following the libretto, of course), can you advise me what to look for, what to hear, what it is that so attracts you to this music? Figuring the work was completed by 1902, it is like nothing else (operas) of a decade or two before Debussy's opera came forth. So, another question might be: what do we compare this opera to time-wise? Lance wrote: can you advise me what to look for, what to hear, what it is that so attracts you to this music? That's a challenge, as I love pretty much all of it - and not just the music, the drama as a whole. Maeterlinck's play is certainly weighed down with a burden of symbolism that nowadays may seem less like profundity than mystification, but at the heart it is a love triangle that turns out as violently as anything in "normal" opera. Whatever, it inspired Debussy to write music that is not only beautiful in itself (to my ear anyway) but moving in its identification and sympathy with the characters and their plight. Where to start? The very beginning and the very end, perhaps. For me, the first scene from the brief prelude through to the orchestral interlude was the key that opened the door, because despite the opera's reputation as arcane, rather precious, and definitely one of a kind, I was hearing music that was so closely related to "Boris Godunov" and even "Parsifal" as to be uncanny. Also, Debussy uses musical motifs in a way quite similar to Wagner's Leitmotifs, with each of the main personages briefly and aptly characterized in a theme of his/her own. Able to connect "Pelléas" with other operas I knew and cared about, I could relax and go with it wherever it wanted to take me. And at the very end, with everything said and done, Debussy has the last word with a coda of twelve bars in the orchestra. First comes the descending two-note motif, minor 6th -> dominant, which as Deryck Cooke says "is the most widely used of all terms of musical language: one can hardly find a page of 'grief' music by any tonal composer of any period without encountering it several times." (Wagner uses it throughout the Ring cycle as a Leitmotif, first when Alberich sings "Wehe, ach wehe" - woe is me.) Debussy repeats it, then draws it out into a long woeful passage of softly descending minor seconds that gets to me every time. A final pp statement of the Mélisande theme in the flutes and muted trumpet; and finally, after a preparation in slightly dissonant arpeggios, the long-held ethereal C major cadence, ppp in the flutes and high strings. Not a dry eye in the house. Obviously this isn't a piece that plays itself, and frankly I haven't got nearly as much out of performances and recordings by French singers and conductors as some say they do. The Germans and Germanophiles have my vote. Karajan's EMI recording is the most beautifully played and sung of the commercial recordings, and with Richard Stillwell, Frederika von Stade, and José van Dam in the lead roles, the characters are vividly present. Even better, though only in the opera house and not on records, have been James Levine's frequent revivals at the Met from 1977 to 2005 with different casts; his phrasing of that orchestral coda adds even more pathos to its sadness. Unfortunately he may have conducted it for the last time, as next season's revival will be taken by Simon Rattle. There is one recording with a French pedigree that I've liked, conducted by André Cluytens, not incidentally an important Wagnerite. It's the first version I owned, mainly because of Victoria de los Angeles and Gérard Souzay; I can put up with Jacques Jansen, long a famous Pelléas but not my type. Cluytens's approach is forthright, unprecious, and not particularly French, which suited me well enough at the time. But since the Karajan version appeared, I haven't played the Cluytens again. The piano works would be my favorite of his. I have not listened to many of the orchestral works: La Mer, Prelude to the afternoon of Faun, and Dances Sacred and Profane are about it. I purchased a 4 disc box set of the complete orchestral works a while back and have yet to make my way through it. I hope to rectify that in the near future. Debussy is my favorite composer. Of all his works, my favorite would probably be his piano music. In fact, his piano music are probably among the few works that I collect performances. My favorite piano pieces are L'Isle Joyeuse, Images 1 and 2, the 24 preludes, Suite Bergamasque, the two arabesques and so on. I still have to investigate the Etudes (believe it or not). His orchestral music is superb in my mind. I think that it is Pierre Boulez who said that Debussy opened a new era in music when his Preludes a l'apres-midi d'un faune were first performed. I must say that his last three chamber works are amazing. People tend to prefer the Cello Sonata but I always had a special place in my heart. Specially the first movement. You mentionned the Chanson de Bilitis. That is a very interesting work. I have always like the musical part of it composed by Debussy. Very interesting indeed. As for the words in this work...well I find of them to be not disturbing but almost. piston wrote: The Rhapsody for clarinet and piano and the Danses sacrée et profane (harp, 2 violins, viola, cello and bass) are not shabby either! Now if you will excuse me all, I have to go to listen to my latest purchase. The complete piano work of Debussy by Alain Planes (by Harmonia Mundi).